No matter how much the internet changes, one fact about it will always be true: Its users love pet videos. 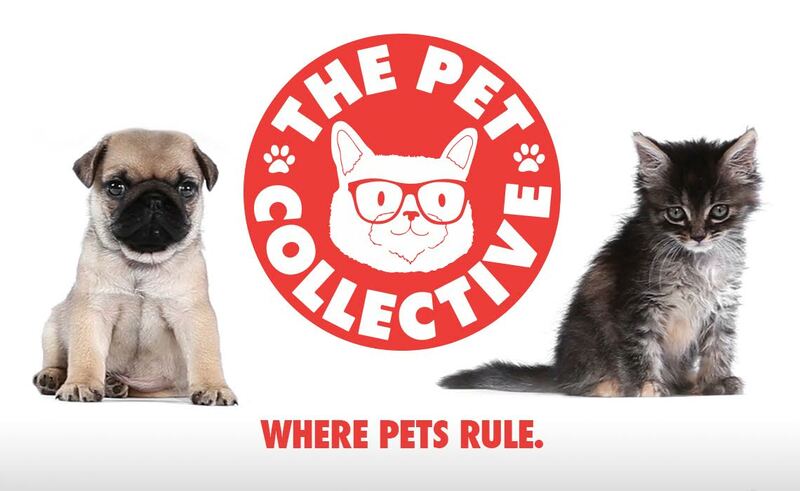 Tubefilter: How does it feel to have one million subscribers on The Pet Collective? What do you have to say to the channel’s fans? Gabe Evans: Hitting one million subscribers for The Pet Collective has been our dream for a long time, so it feels amazing! It’s a huge landmark for us and for pet fans everywhere, and it’s so wonderful seeing how many awesome people and pets we have met along this journey. Our fans are the absolute best, so we have too many “thank yous” and “you’re awesomes” to go around – and we wouldn’t have it any other way. Pets are the best and so are our subscribers! 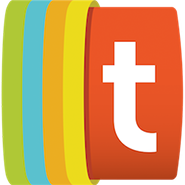 TF: In your mind, what is it about cute animal videos that has led them to become so popular and such an important part of internet culture? GE: Pet videos are the best because pets are unfiltered, funny versions of ourselves. We believe that pet videos are so popular and such a lifeblood of the internet because a pet is always true to itself, whether it’s being goofy, sassy, or even a jerk! People love seeing pets show their personalities — it’s therapeutic, it’s hilarious, and it’s something you can sit back and watch forever. Animal videos are our spirit animal, and they’ll always give us new reasons to keep watching. TF: What do pet owners stand to gain by working with The Pet Collective to share their videos? GE: The Pet Collective is basically the go-to destination for funny pets, so anyone who has a pet, films their pet doing something funny, and wants a way for their pet to become a star — The Pet Collective is the best channel that can make your pet’s dreams come true! The cool thing about seeing your video on The Pet Collective is that you become part of our community — you’re able to interact with the largest group of pet lovers online, and then you get to see your pet video live forever! TF: On the other hand, what sort of process does your team go through to make sure the videos you share are legit? GE: The Pet Collective is part of Jukin Media, and Jukin has an entire team of people who make sure the videos we share are all legitimate; the team goes to great lengths to ensure they’ve found the rightful owners and to protect the integrity of these wonderful videos. The Pet Collective prides itself on being the top pet comedy brand on the web, and we want to make sure the videos we feature are the best videos out there and that the content creators of these clips are also respected and protected. TF: What is the creative process like for the Movie and Music “Petodies” on The Pet Collective? GE: Petodies are the pop-culture pulse of The Pet Collective, and they are like a beautiful love-letter to entertainment, music, movies, and most importantly: pets! When we come up with an idea for a petody, we think about what pet parody would be something we would want to see in real life. We’re big fans of movies and music, and if there’s an awesome movie coming out that we want to celebrate, we brainstorm what the name would be, what kind of pet star would be the funniest, and then dive into the creation of the magic. Sometimes we get to make tiny costumes, elaborate sets, artwork, and even custom music – and it’s just a fully immersive creative experience where the pet always enhances the fun! TF: Do you have a personal favorite Pet Collective video? GE: There are so many, literally thousands of videos, on The Pet Collective – so it’s hard to choose! It really depends on our mood. “Toy Story” remade with Kittens is one of our favorites, but it’s hard to beat “Chow Puppy Can’t Get Out Of A Bowl,” or even “30 Incredible Pug Videos.” Honestly, we’re such pet lovers over here that it would be harder to choose a least favorite video. TF: Do you think that the qualities viewers are looking for in their pet videos have changed since the advent of the internet? GE: The essence of an awesome pet video will always be the same, in our opinion. Genuine, funny moments with these adorable little fur babies is what life’s all about. The quality of pet videos has definitely advanced with technology, and now everyone has access to an awesome camera or phone and can capture even more genuine, unique moments. That’s the biggest thing that we see as having changed, and since we’ve developed a dedicated following of pet lovers, we’re able to tap into those videos and feature them on our channel. TF: Just as goats had their day a few years ago, what type of pet do you think is going to increase in viral popularity in the near future? GE: Sloths are having their heyday right now, but we believe in the sheer cuteness of hamsters and other tiny pets! The smaller the better, especially if they can be in tiny environments or be next to something that shows how small they really are. GE: We have a ton of fun things on the way. We’re releasing an amazing new apparel line inspired by our favorite videos, our Facebook page recently surpassed six million fans, and The Pet Collective is now available on Roku, Xumo, and Watchable. Lastly, we’re going to have a big presence at CatCon 2017 in Pasadena in August; we’d love to see you all there!